Glenn Anthony Soco, 34, has achieved “fame and fortune” in business. He is the President of MIMS, one of the province’s biggest manpower services companies. He is the President of Powerline Human Resources Management, Inc. and the Executive VP for G.A. Satellite Ventures, Inc. Plus, you’ve probably sipped a cup of hot cappuccino at an establishment Glenn founded 11 years ago and which has grown to 29 outlets nationwide… Coffee Dream. But Glenn is not all about harvesting money and brewing coffee. He’s also a sportsman. I first met Glenn nearly two decades ago at the now-defunct Cebu Tennis Club in Banilad. He and I were no older than 14 years old when we swung our Prince tennis rackets alongside our fathers, Momoy Soco and Bunny Pages, who were members at the CTC. But while I continued with tennis, Glenn—mainly because of his imposing 6-foot-1 frame—pursued another sport: Volleyball. Glenn first played the sport in first year high school. He didn’t stop. For the next nine years, he towered tallest. He served aces, spiked the ball, blocked shots. He played varsity for the University of San Carlos (photo of main campus below) and was the Team Captain in high school and college. He competed in national meets (Palarong Pambansa, PNG) and, in 1992, was drafted for the elite national training pool by the RP team. “Hi John. Thank you for featuring volleyball again. It would be a big boost to our campaign and its very timely because there are some developments with our program. I like your write-up about beach volleyball and, yes, it is very applicable here in Cebu. 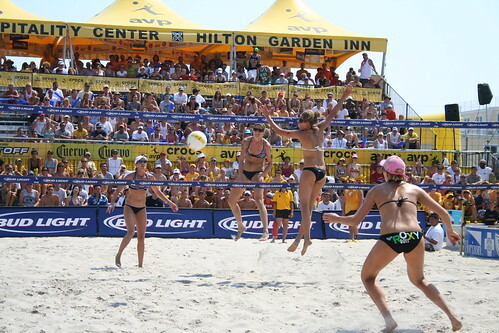 “First, we have the venues as we can set-up volleyball courts in any ordinary beach. Some resorts have beach volleyball courts already like Shangri-La, Cebu Beach Club, Stakili (where a lot of beach volley tournaments are held), Wiggy’s in Liloan (another popular beach volleyball venue). 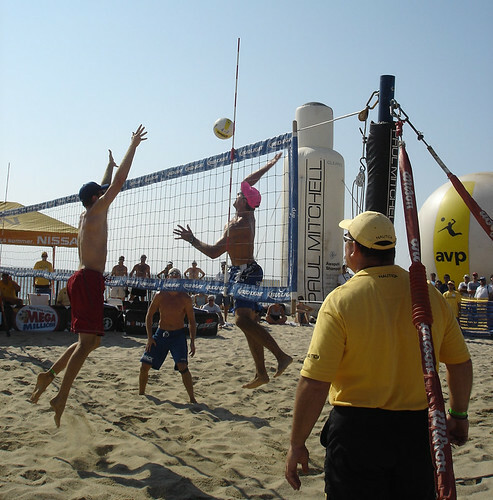 Part of our advocacy for CEVA is to develop beach volleyball all throughout the province. Its ideal for Cebu being an island and there are a lot of beaches all around the province. “Second, we have the talent already as skills-wise, it’s not too different from indoor volleyball. Cebu has produced beach volleyball champions in national competitions and these athletes are indoor volleyball players as well. “Third, it’s easy to set-up. You just need the beach, the net, the posts, the ball. It’s played 2 X 2 or 4 X 4, it’s non-contact and can be played by all sexes. I wish Glenn and CEVA will be successful in their quest to promote and popularize beach volleyball. It is a great sport. I played volleyball and was team captain throughout high school at CSJ-R.